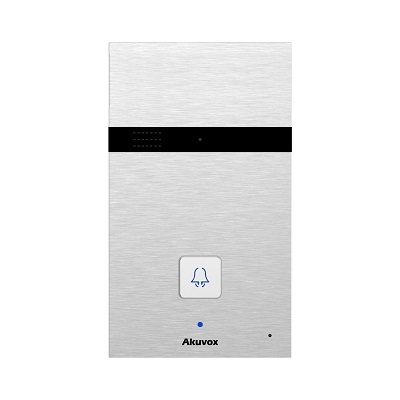 R23P is a fashionable, SIP-enabled IP audio door phone for both two-way communication and total door entry control, even for remote locations. The centralised one-way access control because of its simplified one-button function brings about unmatched site security. Its chic design adorns the front door of villa or office exquisitely.